The fanciful Guerlain La Petite Robe Noire fragrance universe has been expanded… say hello to the glorious La Petite Robe Noire makeup collection! With a gorgeous array of glossy lipsticks and scented nail varnishes to tempt hearts, the irresistibility of La Petite Robe Noire has reached new heights. 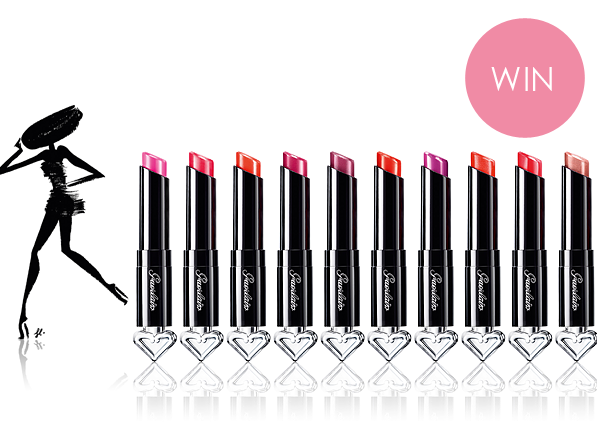 So, calling all sartorial and beauty mavens – we’ve got an amazing competition to introduce you to the new range. There are three chances to win the delectable La Petite Robe Noire Eau de Parfum plus some bestselling Guerlain beauty treats, from the classic Terracotta bronzer to the new La Petite Robe Noire makeup. See how below! Chance #2 Follow @Escentual on Twitter and tell us your favourite style icon with the hashtag #DressUpYourStyle. No purchase necessary. A purchase will not improve your chances of winning. Contest begins 22nd February 2016 and ends 29th February 2016. Winners will be selected in a random drawing on or about 29th February 2016. Three prize winners will be drawn. If the winner doesn’t respond within 7 days, the competition will be redrawn. Prizes must be accepted as awarded; not redeemable in cash or credit. This entry was posted on Monday, February 22nd, 2016 at 9:30 am and is filed under Competitions, Make-up. You can follow any responses to this entry through the RSS 2.0 feed. You can skip to the end and leave a response. Pinging is currently not allowed.